Before I get into what I want to talk about with project management this month, I want to share some of my recent experiences. 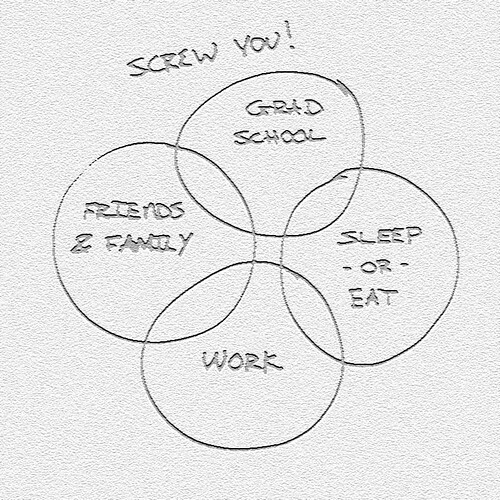 Have you guys ever seen those Venn Diagrams about life? They always include some version of family, work, and sleep; telling you to pick two. See below. I used to think these were super funny and accurate, and then I realized something. My life has been brutally way outside of that trichotomy. For months I’ve been bouncing around between different facets of my life, trying to do everything at once. Thankfully, that’s ending in just over a week when I finally finish my MBA. I’ve been blessed with amazing family, friends, and clients who have stuck with me and supported my decision to work and attend school, both full time. I want to take a second to publicly tell all of you, I can never thank you people enough for the encouragement and support you’ve given me over the past 19 months. Every kind word has meant more than you can know. It feels like it’s been so long since Steph and I took a huge leap of faith; tearing me away from easy employment and tossing me into the freelance and higher education worlds. I’ve never looked back, and I’ve never regretted it. Ultimately, I praise God for strength and His blessing. 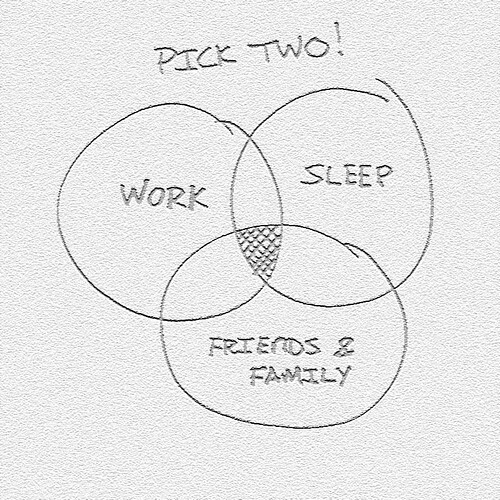 I’m super pumped about having that silly work, family, and sleep Venn Diagram represent my life really soon. MBA: conquered (in a few days).